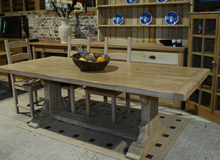 Handmade OAK Tables, elm tables, ash tables, American Black Walnut tables, sycamore tables, beech tables, oak and pine chairs, wardrobes, chests of drawers, bedside tables, and farmhouse dressers – they are all here to be seen, and touched! 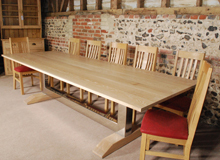 Much of our furniture is hand crafted, at our on-site workshop, using the finest timbers such as English Oak, Elm, Ash, Beech, Sycamore, European Oak, Pine, American Black Walnut. 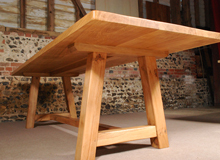 Many of our Handmade OAK Tables are from timber which is reclaimed and preserves the rich patina of a bygone age. Why not visit our showroom and workshop and select your very own timber. 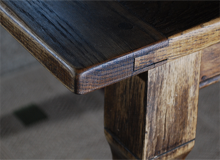 Watch in amazement as we convert reclaimed, rough sawn floorboards into a beautiful table which will grace your home and provide much pleasure for generations to come. 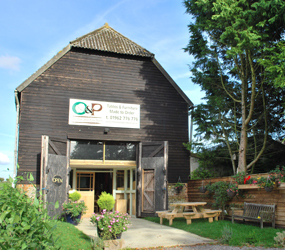 At The Oak and Pine Barn we specialise in making to order, so don’t worry if you don’t see exactly what you are looking for. 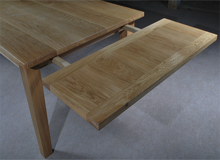 We can create that unique piece of furniture, from a handmade oak table to a pine wardrobe, specific to your needs, and it won’t cost you as much as you might imagine. 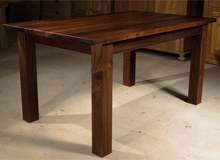 All of our hand made tables are available in a wide range of timbers, sizes and finishes. We custom make each one to your specification to ensure your complete SATISFACTION! 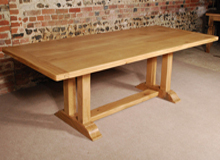 Expertly crafted hand made oak tables from The Oak and Pine Barn, Winchester, Hampshire – made to order, or available from stock – visit today! Oak tables, Ash tables, Pine tables, English Oak tables, French Oak tables, European Oak tables, American Walnut tables, Sweet Chestnut tables, Pippy Oak tables, English Elm tables. 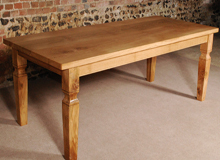 For solid oak flooring to complement your A-Frame Oak Table, please visit our associate website at more floor.